us you really recognise what you’re talking about! Bookmarked. I wouldn’t eat at a McDonald’s unless I absolutely had to. However, they are perhaps the best run company on the planet and are run like a fine watch. They offer some of the best opportunities for young people to get training on how to run a business properly…something Mexico could surely use to its advantage. Whenever they come to historic cities they always conform to the local architectural and signage restrictions and requirements. What about ReMax, Coldwell Banker, Century 21, Starbucks not to mention the Mexican franchises for ice cream etc. etc.? 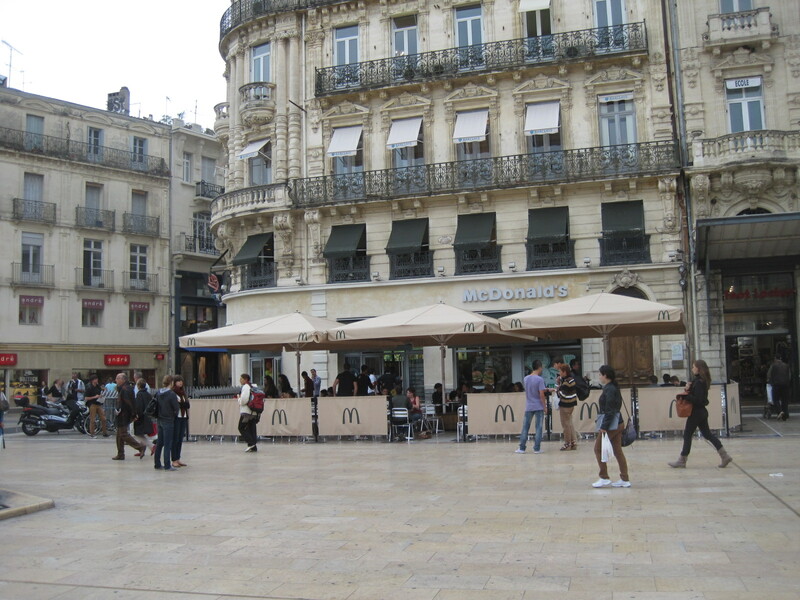 There are dozens of McDonald’s in UNESCO cities all over the world. Do some traveling as I have and educate yourselves you expats! Most folks passing by won’t even notice the restaurant unless they are looking for it specifically. Mexicans have the right to open a franchise of any sort they please as long as they conform to regulations…this is not a communist country! At least this building blends in, and the McD corporation didn’t insist on putting up a golden arch. I’m glad the McDonald’s in Guanajuato capital is hidden up in the Plaza Pozuelos “mall.” To me, it’s still a symbol of American imperialism and increasing economic and cultural globalization. Fast food’s role in obesity, especially childhood obesity, is also a problem. Just watch “Food, Inc.,” or “Fast Food Nation” and you’ll probably never eat a Big Mac again. I don’t see what the problem is, it would create jobs. You would never know Starbucks was right in El Centro if you weren’t looking for it. A McDonald’s in San Miguel would cut into people’s Starbucks time.